I did it 'cause maxis didn't!!! i always do my best to lower poly counts but sometimes not enough. 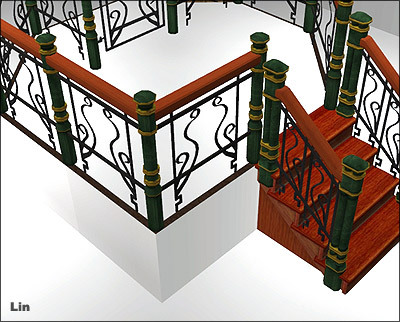 maxis wrought iron fence has 1060 polies in a tile of rail, and 34 polies in a post. 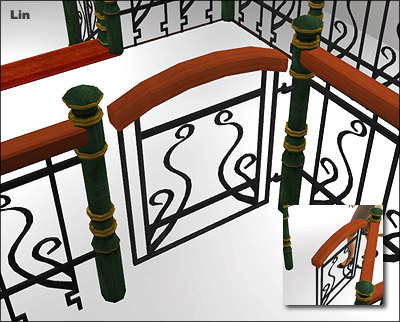 and maxis wrought iron gate has 1202 polies. feel free to upload in lot for free download. 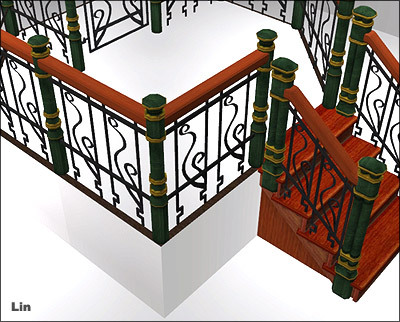 Art Nouveau Fence and Gate Recolours to match my Art Nouveau Stair recolours. These recolours may or may not be endorsed by nihilin.